Since it’s opening in 2002 Lembeh Resort has always been about something more than offering the best macro diving experience in the world. To offer our guests a warmhearted luxury is biggest our goal but to the team-members of Lembeh Resort no luxury is greater than being able to give back to the communities that have generously hosted our little resort on their beautiful island for the past 15 years. 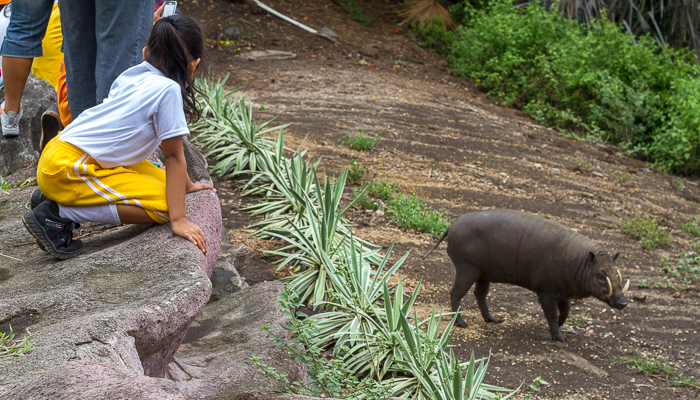 Our continued commitment to supporting the local communities has produced a communal goodwill towards the resort, which is something our team-members very proud to be a part of. 2017 has been kicked off with the initiation of several new and exciting programs. 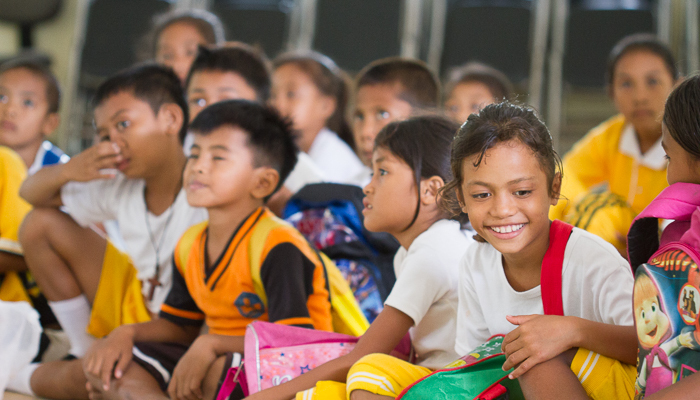 The goal is to help offering a better education for the children of the island. 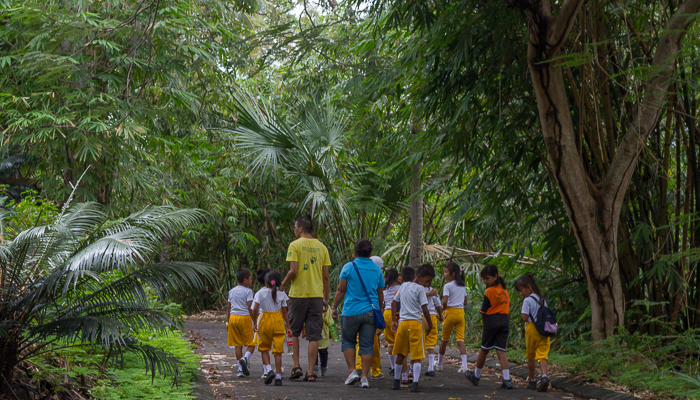 However, of equal priority is to teach the children about the importance of protecting Indonesia’s enormous natural treasures. 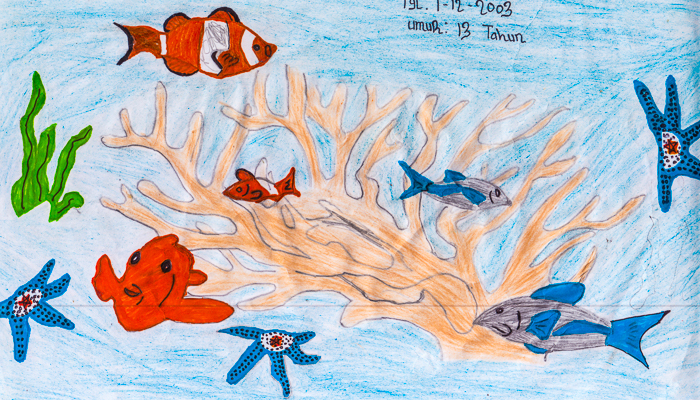 The Lembeh Resort team strongly believes that by preserving the environment the children of Lembeh will have a much brighter future ahead of them. 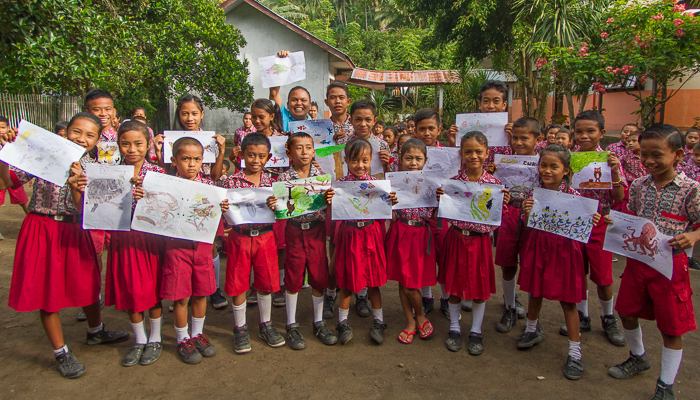 The first program of 2017 involved over 200 children from two of the elementary schools located here on Lembeh Island, Batu Riri and Pintu Kota Besar. 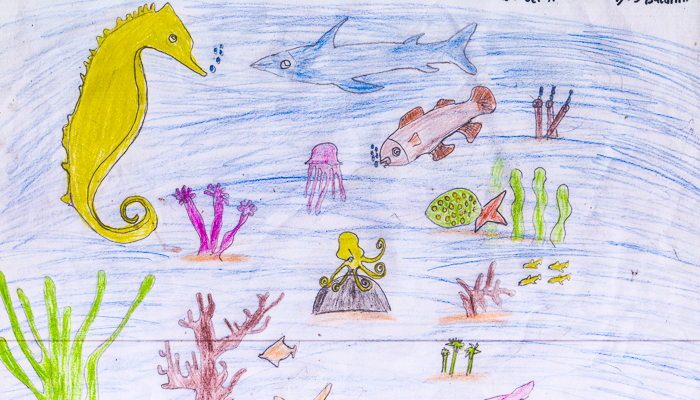 The children, aged 5-12, participated in a competition to draw the iconic wildlife of North Sulawesi. 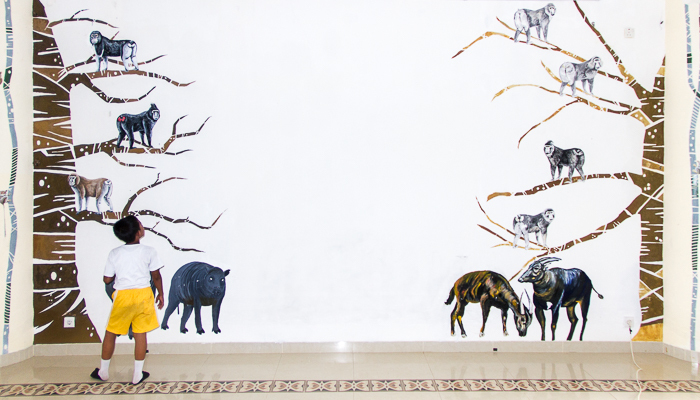 The artists of the 30 highest rated drawings would receive a special day-trip to the Tasik Oki Wildlife Rescue Center, sponsored by Lembeh Resort. 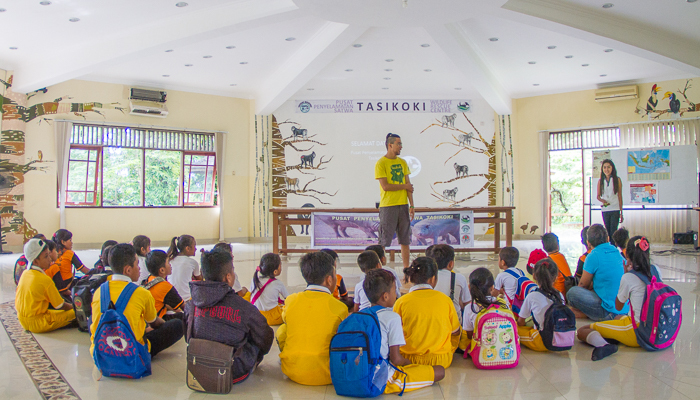 The target was to show the children this amazing place and their tremendous efforts to preserve the wildlife of Indonesia and North Sulawesi in particular. 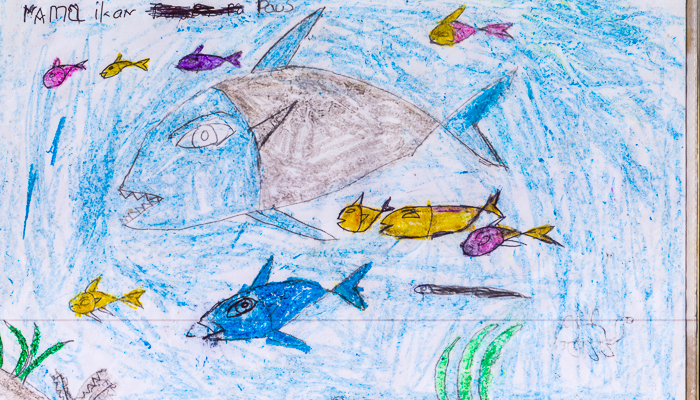 Needless to say we received a flood of incredibly imaginative and beautiful drawings, and now it was time for our guests to step up and help us choose the best 30 drawings. Our in-house guests cast their votes and with the help of our restaurant captain Helena and guest-relations manager Morten the super talented winners were announced on their first day back to school after Christmas holidays. 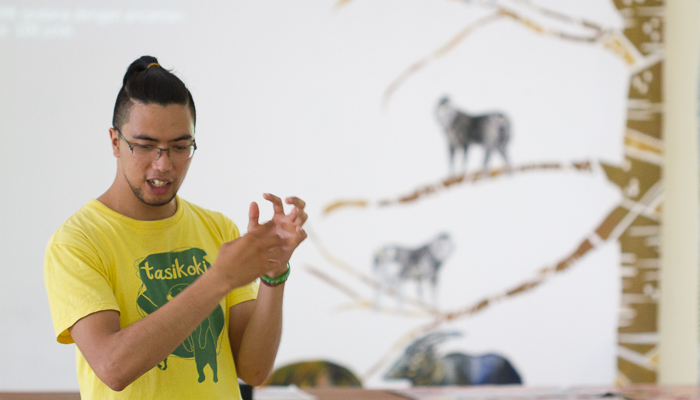 The educational trip to the Tasik Oki Wildlife Rescue Center took place on a sunny Saturday morning and upon arrival we kicked off the day with a highly informative and humorous presentation by the incredible Tasik Oki Team. 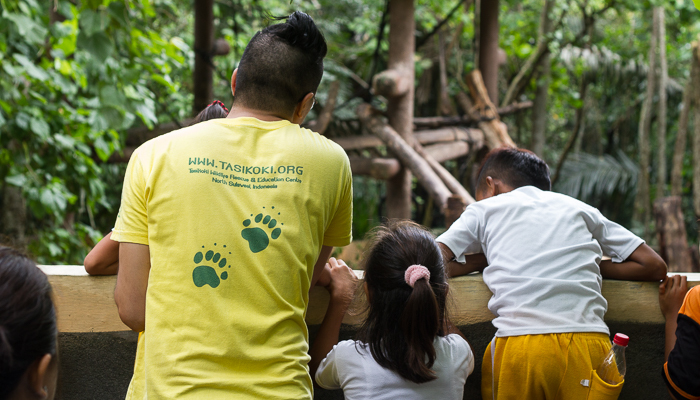 Following the presentation the children were shown around the huge jungle compound in small groups to give them a chance to learn about the extensive efforts being put into stopping illegal wildlife trade, logging and poaching. Recording the songs of the Pintu Kota Kecil Children’s Choir. The intention is to initiate a crowd-funding project in which guests of Lembeh Resort can buy a CD of locally produced music. Needless to say, all proceedings will go towards helping the least fortunate children of the Lembeh Island. 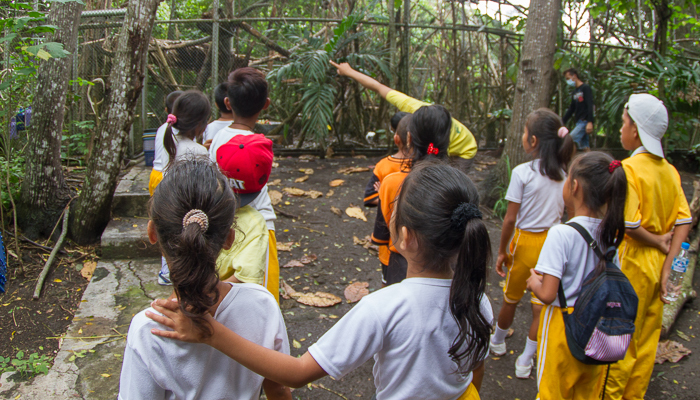 During the months of March and April we will initiate a new environmental education program in which we will invite the children of the neighboring communities to Lembeh Resort for several afternoons of marine life presentations. 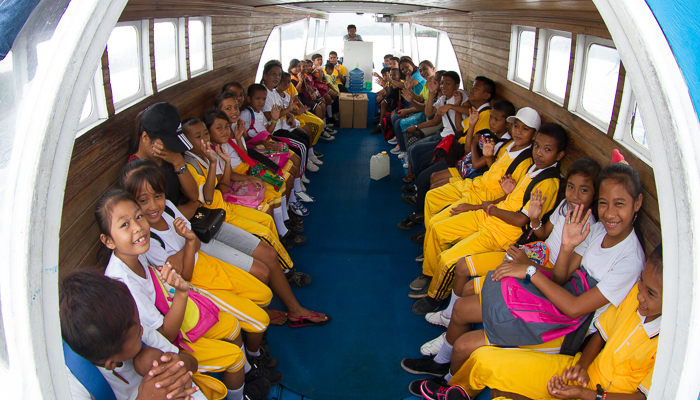 At the end of the environmental education-program a small exam will be given and the children with the highest scores will win the chance to try out Scuba Diving for the first time in their lives. 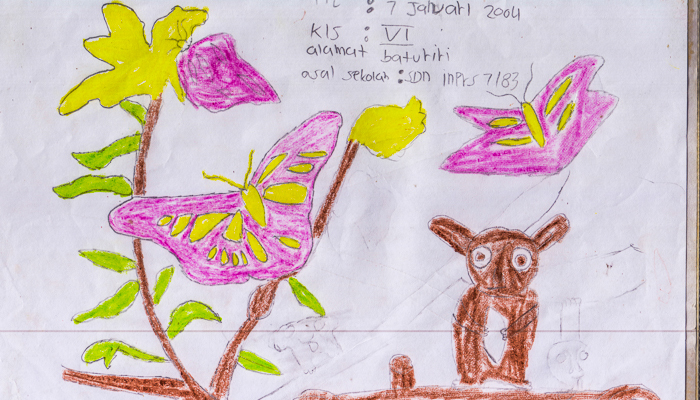 Through the Lembeh Resort donation program we will purchase school uniforms, bags and basic materials for the least fortunate children of Pintu Kota Kecil and Pintu Kota Besar to ensure that they will be able to attend school in the new school year. 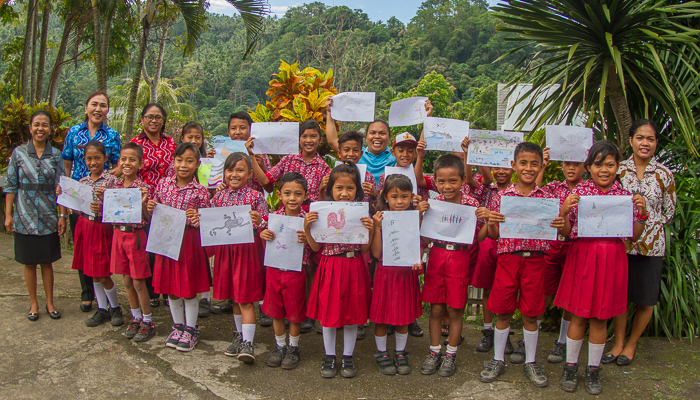 Many of our kind guests have already brought and donated pens, crayons, note-books, rulers, calculators and other basic school supplies for the Lembeh Resort Donation Program. However, assistance is always highly appreciated, so if you are planning a stay at Lembeh Resort and would like to be part of our community support projects then please contact our guest-relations manager Morten (morten@lembehresort.com) for more information on how your help can be of the highest possible use.